In case you have been living under a rock, then you would be aware that nut butter is all the rage nowadays. Peanut butter is boring, so move over peanut butter! There are so many new nut butters available today. 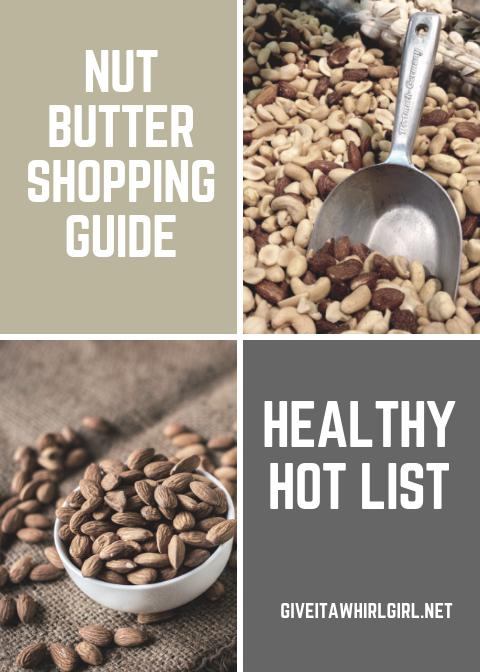 It is overwhelming to see so many all over Amazon so today I broke down my favorite nut butter into this top 10 list as part of my Healthy Hot List series on my blog. You want to know the very wonderful thing about these nut butters? They are a fantastic source of protein. These brands in this shopping guide also only use all natural ingredients to create their products. Many are also gluten-free and vegan. These nut butters are quite versatile and there are a ton of inspirational recipes online for how to get the best use out of these. Wanna shop from this shopping guide? All you need to do is click the link or image and load up your cart! I would love to hear from you and know what you got for yourself! This Betsy’s Best Nut Butter Gift Set has everything you need to whip up a tasty creation in your kitchen. I love creating energy balls with nut butter. Five Amazing Flavors –The Coconut Cashew Butter contains wonderful coconut flakes along with savory cashew butter. The Cinnamon Almond, Seed and Peanut butters all contain a chia seeds, cinnamon and honey for a touch of sweetness. Our lovely Cashew Caradmom combines savory cashew butter, cardamom spices and chia seeds making a flavor to fall in love with. Here is one nut butter that you will most definitely want to give a whirl! This birthday cake flavored nut butter by Buff Bake does not disappoint. Enjoy this nut butter mixed into smoothies, spread onto fruit, just use your imagination! Two tablespoons of this Birthday Cake nut butter contains 11 grams of protein to fuel you through your day. Buff Bake also has drumroll please….COOKIES! Trust me on this! You are going to want to give this Legendary Foods variety pack a gigantic, huge whirl! I have tried all of these flavors of Legendary Foods nut butter and I was amazed by the taste of these. They also inspired me to whip up many creative concoctions in my Give It A Whirl Girl kitchen! There are so many fun flavors to try so if you can’t decide, I highly suggest going with the variety pack. Flavors included: Apple Pie Flavored Almond & Cashew Butter, Blueberry Cinnamon Bun Almond Butter, Peanut Butter With Chocolate Chips, Peanut Butter Cup Peanut Butter, and Pecan Pie Flavored Almond Butter. These nut butters from Legendary Foods can fit right into your low-sugar, keto lifestyle with only 1 gram of sugar per serving and only 2 net carbs. WOWZA! And check out these pizza-flavored nuts by Legendary Foods. I just discovered their existence and I am really drooling over here. OMG~!! Eliot’s Adult Nut Butters is a brand that I am completely and totally intrigued by! This is the kind of nut butter that I would love to try out in savory dishes! These savory flavors really appeal to me and I give Eliot’s Adult Nut Butters MAD PROPS for the innovative flavors! These nut butters also sell for quite a decent price considering the size and the flavor selection. What flavor of Eliot’s Adult Nut Butters would you give a whirl and what would you whip up? Feel free to leave me a comment about this in the comment box! Nuts ‘N More has a huge variety of different flavors of high protein nut butter available. This cookie dough nut butter is hands down my favorite flavor! Here is a nut butter for the adventurous flavor seekers out there! This is a Rainbow Sherbet spread created by Epic Spreads. This is another brand that has a wide variety of fun flavors to kickstart your creativity. Oh man, this sure sounds like an incredible flavor from NOOSH! This nut butter is an almond butter cupcake spread. These are made with only all natural ingredients. They are also vegan, gluten-free, dairy-free, and NON-GMO. Justin’s is a brand that I know and trust. I have been using their cashew butters to create energy balls. I am super curious about this chocolate flavored hazelnut butter! Here is another product from Justin’s that I am confident you will love! These dark chocolate peanut butter cups are at least 100x better than the leading brand, Reeses. These chocolate confections are created with only the best, high-quality natural ingredients. My mind was blown the first time I tried Justin’s Dark Chocolate Peanut Butter Cups. Julie’s Real Cashew Butter is the brand you are looking for if you are following a gluten-free or paleo diet! There are four flavors available of Julie’s Real Cashew Butter. This nut butter is made with only all-natural ingredients and guess what? This one only contains two ingredients: cashews and coconut! Want to check out the other three flavors of this nut butter? And let’s wrap things up here with some walnut butter from Crazy Go Nuts. This is perfect for you if you are following a gluten-free, vegan, or keto diet and Crazy Go Nuts claims that you will not find anything boring about this nut butter. Which of these fun flavors appeals the most to you? Question Time! Now that you have seen my Top 10 favorite nut butters, which one will you be giving a whirl to first and tell me how you will be using it! This entry was posted in Health and Wellness, Manic Monday, Shopping Guide and tagged almond butter, amazon, Betsys Best, birthday cake, buff bake, cashew butter, cookie dough, Eliot's Adult Nut Butters, Epic Spreads, gluten free, health, healthy, healthy food, healthy snack, Julie's Real Cashew Butter, Justin's, keto, Noosh, nut butter, nuts n more, paleo, paleo food, rainbow sherbet, shopping guide, wellness. Bookmark the permalink.